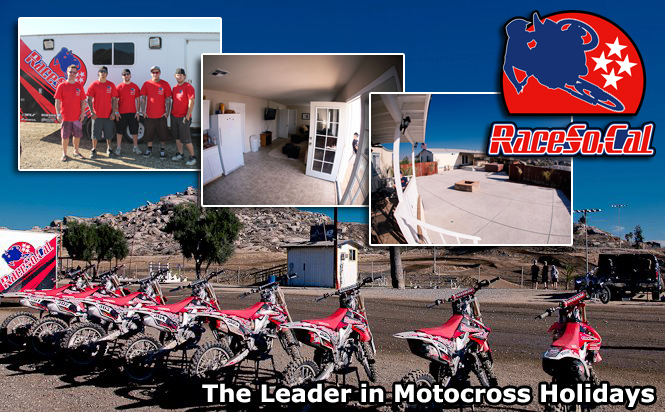 Race SoCal Interntional, Inc is based in Menifee, California and specialises in accomodation and bike rental for international motocross riders wishing to stay and ride in Southern California. With so many tracks within such a short drive of one another and constant great weather Southern California is the ultimate place to spend your winter away riding. 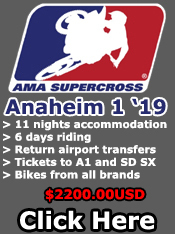 The winter weather in Southern California is 75F sunny with clear blue skies and a slight cool breeze, perfect for motocross. This weather is pretty much constant from October through till March, the perfect time to get away from the rain, sleet and snow in the Europe. 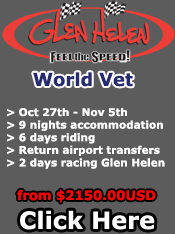 We have 7 fantastic tracks all wthin an hours drive from the Race SoCal house so there is a different track to ride every day of the week. 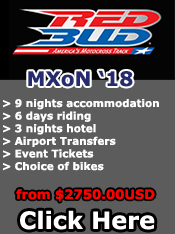 If you're fed up of the cold, rain and mud that European motocross riders have to endure throughout the winter then coming to ride in Southern California is definitley for you and with fantastic "after-moto" activities and great accomodation Race SoCal can cater for anyone.